Die Ware wurde gereinigt und getestet. Die Funktion ist einwandfrei. SMA female Stecker. Ich verkaufe auch die passende Antenne. - 2,3dB Verlust durch Filter. SDR USB Empfänger für ADS-B/MLAT (1090 MHz) mit eingebautem Verstärker und Filter. Jetzt kaufen. Verkäufer speichern. 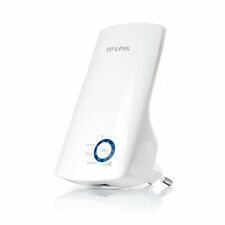 TP-Link TL-WA7210N. Die Ware wurde gereinigt und getestet. Leichte Gebrauchsspuren wie Kratzer(-chen) können vorhanden sein. Die Funktion ist einwandfrei. RIPETITORE DI SEGNALE WIRELESS (Wi-Fi) E ACCESS POINT. ripetitore segnale Wi-Fi (per estendere il raggio di copertura della rete wifi). RIPETITORE SEGNALE WIFI ALTRE INFORMAZIONI SUL RIPETITORE Ma è identico e piu aggiornato. 100% Satisfaction Guaranteed!!! Free Fast Shipping!!!! IL RIPETITORE HA TRE MODALITA' DI UTILIZZO -Ripetitore segnale Wi-Fi. Ripetitore Wi-Fi. Standard: IEEE 802.11n, IEEE 802.11g e IEEE 802.11b. Led di accensione, attività LAN, attività Wi-Fi. Gamma di frequenza: 2.4 - 2.485 GHz. 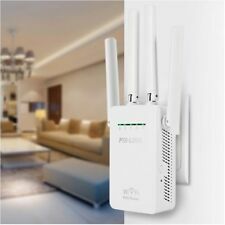 This Wireless Wi-Fi Range Extender/Repeater is designed to boost the Wi-Fi range and signal strength of your existing wireless network. Convenient to use and easy to install. Repeater Mode - extend existing Wi-Fi, improving signal strength and maximizing coverage. 49dBi LTE 4G Antenne Antennenkabel Signalverstärker SMA Connector Stecker mit 2m Kabel. 1x 49dbi LTE 4G Antennenkabel. Diese 4G 49dBi Antenne dient zur Stärkung des WLAN-Signals, wenn Sie es mit 4G USB-Modem verbinden. L'antenna professionale Panorama WMMGG è un'antenna 2x2 MIMO per amplificare il segnale di reti 3G e 4G con un elevato guadagno tra 1710-2170MHz. Incorpora due elementi a banda larga alimentati separatamente in un singolo alloggiamento, il WMMG è dotato di un supporto lato client MIMO e diversity per le reti 3G e 4G. L'alloggiamento e' robusto e resistente alle intemperie è progettato per il montaggio a parete. Sono previste staffe di montaggio a parete e a palo. 5 metri di cavo doppio schermato a bassa perdita riducono i giunti dei connettori esposti e semplificano la gestione dei cavi per una facile installazione. Tipo wireless: 802.11. a, 802.11. b, 802.11. g, 802.11. L'installazione a muro rende sufficiente la presenza di una presa elettrica per l'utilizzo del prodotto. 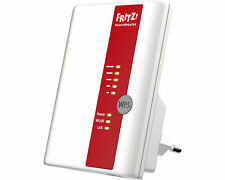 AVM Fritz!WLAN Repeater 1750E. - AVM Fritz!WLAN Repeater 1750E in OVP. Vertragsbedingungen: 1. Dieses Risiko wird vom Käufer getragen. Wird eine der formulierten Vertragsbedingungen oder Teile von einer ungültig, so bleibt die Gültigkeit der anderen Bedingungen und der restliche Teil der jeweiligen Vertragsbedingung davon unberührt. 49dbi LTE 4G Antenne Antennenkabel Signalverstärker TS9 Connector Stecker mit 2m Kabel. 1x 49dbi LTE 4G Antennenkabel. 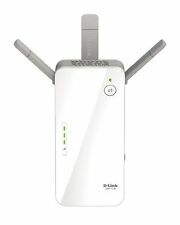 Diese 4G 49dBi Antenne dient zur Stärkung des WLAN-Signals, wenn Sie es mit 4G USB-Modem verbinden. Item Type: WiFi Repeater. Support Wireless Repeater Mode and Standard AP Mode. 1 x EU Plug WiFi Repeater. Plug Type: EU Plug. Feature: 1. Improve wireless coverage in all WLAN networks. 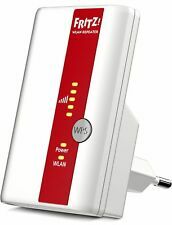 WLAN 802.11n for wireless high-speed access. Antenne Yagi 20 dBi connecteur RP-SMA. Gain 20 dBi. Antenne Wifi longue très portée. Type Externe. Cosa succede quando il segnale è troppo debole per connettersi ad un Access Point in un altro edificio ed occorre collocare l’antenna wireless in una posizione più alta o lontana per ottenere un segnale migliore?. Connettore SMA. Tipo connettore: SMA maschio. 2x Antenne 5dBi. 4G LTE - 3G UMTS - 2G GSM. Le vendite di prodotti via Internet sono disciplinate dagli articoli dal 45 al 67 del D.Lgs. 206/2005 (Codice del Consumo). SMA female to SMA male. 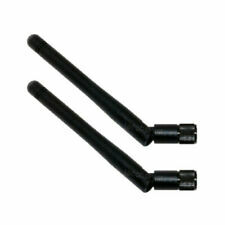 for WIFI/WLAN/3G/GSM/LTE Aerial Antennas. Low Loss Extension Lead. Suitable for drag chains. Halogen free. RoHS compliant. The FlightAware Pro Stick Plus improves on the revolutionary Pro Stick high-performance SDR USB dongle ADS-B/MLAT receiver by adding a built-in 1090 MHz bandpass filter. The filter, when combined with built-in self-powered amp, provides improved reception of Mode S/ADS-B signals for users in areas where filtering is beneficial. SMA-RP Antennen male. SMA-RP Antennen female. I-PEX Antennen. ESP Sensoren. Androegg CH340 USB TTL Konverter. USB TTL Konverter. 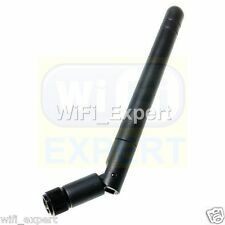 ESP8266 2,4 / 5 GHz 3dbi Wlan Wifi Antenne SM-RPA Buchse female I-PEX Adapter. The antenna provides an innovative and future proof solution for 4G / 3G and 2G networks. It is a unique window, wall or pole mountable, dual polarised, full LTE band omnidirectional antenna. Incorporating two separately fed ultra wideband elements in a single housing, the antenna is equipped to provide client side MiMo and diversity support for the networks of today and tomorrow. Gain is min. 2 dBi across all bands: 790 – 960, 1710 – 2170, 2300-2400 and 2500 – 2700 MHz Bands. The weatherproof housing is designed for window, mast and wall mounting. The antenna has 2 x 5 metres of low loss cable. Does not include HP T610, HDD/SSD, wifi pig tails, or wifi antennas. Fits SMA / RP-SMA RF Antenna WiFi connector. Includes : 1 mount and 2 bolts with nuts. We reserve the right to repair or replace any DOA item. 100% ORIGINAL PART FROM ASUS. ADATTATORE TENDA P200 KIT 1 ADATTATORE POWERLINE. Gli adattatori Powerline TENDA convertono la rete elettrica in una rete dati senza aggiungere ulteriori cavi. Questa nuova generazione Powerline monta un complesso sistema di risparmio energetico che assicura un risparmio maggiore rispetto ai precedenti. High performance, omni directional antenna for receiving 1090MHz Mode S and ADS-B data from aircraft. When properly installed without obstructions, the antenna can receive ADS-B data from aircraft up to 250mi / 400km away. WiFi 802.11b/g C ANTENNA, TRIPOD AND RP-SMA PIGTAIL - GREAT for enhancing your WiFi signal and WARDRIVING / NETSTUMBLER. The BEST CANTENNA, TRIPOD and PIGTAIL DESIGN that you will find on E-BAY and your very BEST VALUE! Connettore: SMA Maschio (ago interno), RP-SMA Femmina (ago esterno). And with its simple setup, it only takes a few minutes to get connected. Stay connected with fast Wi-Fi. 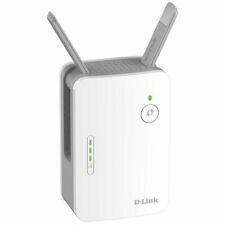 TP-Link AC1750 WiFi Range Extender RE450. This WiFi range extended can best be described as slightly used. It was only used for about a month. It works perfectly and had no issues. Just decided to change to a different model. FlightAware Pro Stick PLUS USB ADS-B Receiver with built in RF Filter by FlightAware. 1 (One) FlightAware Pro Stick PLUS USB ADS-B Receiver from FlightAware. The FlightAware Pro Stick Plus improves on the revolutionary Pro Stick high-performance SDR USB dongle ADS-B/MLAT receiver by adding a built-in 1090 MHz bandpass filter. This antenna incorporates 2 independent antennas, one horizontally polarized and one vertically polarized, and a pair of N-female antenna ports, making it a perfect choice for 2x2 MIMO radios including Ubiquiti Networks RocketM5® or Mikrotik BaseBox® 5. SMA (female to male) 1090MHz Mode S filter. Passes range 980MHz - 1150MHz. Impedance is 50ohms and insertion loss is <2.5dB. 1090MHZ ADS-B / Mode S Filter. SMA Female to SMA Male. Passes range 980MHz - 1150MHz. 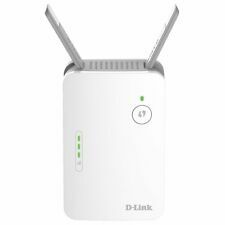 Equipped with dual external antennas, this WiFi repeater extends WiFi coverage 360 degree by up to 50M. 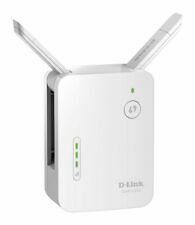 Gigabit Ethernet port also allow this WiFi booster function as a wireless adapter to connect wired devices. Gain: 20dBi Peak, 18dBi Average. We can make the cable shorter just leave a note when checking out. Any length with any connectors. We have LMR195, LMR240 or LMR400 to choose from. Connection cable is 3 feet long with N Type Female end. DRIVER, MANUAL CD, MAST O RING KITS, USB CABLE, CASE. The TurboTenna WiFi Antenna. It is also slim and light weight that you could carry it in a traveler bag. upgrade kit for the USB-Yagi TurboTenna. You might need an extender cable if you want to put your USB-Yagi TurboTenna to a sweetspot at a far end for reception. 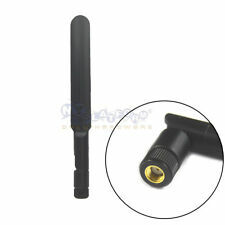 Improve your 3G and 4G reception using this 4G MIMO Antenna. If you have a 3G only device with a single SMA connection then simply just attach one of the antenna cables - no problem. Suitable for use with all UK and EU 2G/3G and 4G Bands.